I love spending time alone and having quiet moments all to myself very early in the morning. My days are usually filled with so many other distractions vying for my attention and sometimes it’s very difficult to be alone, to think clearly of new possibilities. Everyday we live in a world that is constantly pulling us in different directions. 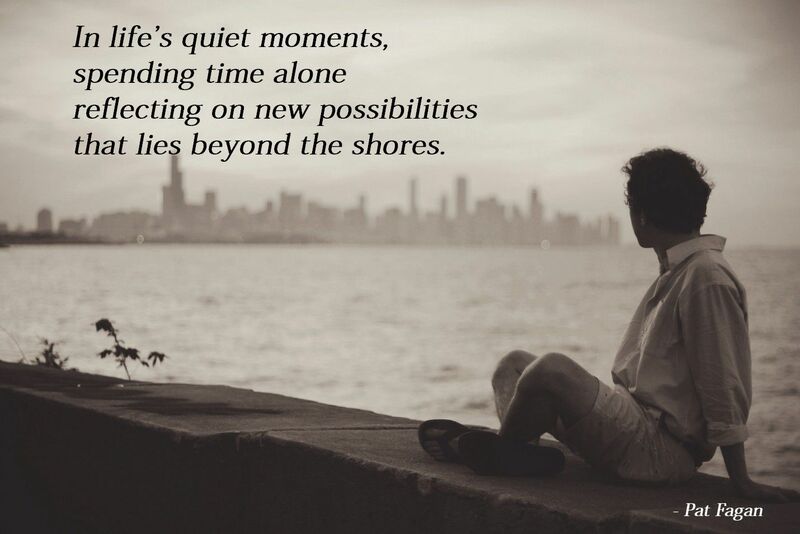 It is important to make each day count, finding time for solitude and silence to refresh and renew ones spirit. Jesus sought solitude many times in prayer during his ministry due to the demands of his life. His Foundation was his heavenly father which renewed his strength to continue on his journey. This is a lesson we all can learn from, as the pressures of our daily life seems to increase rather than decrease. Time spent alone with God in prayer will give you strength and open doors to a new reality.